Iron Casting is a specialized form of casting involving various types of steel. 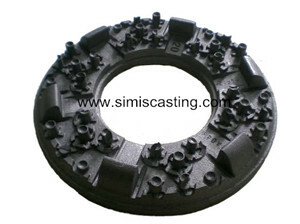 Iron castings are used when cast irons cannot deliver enough strength or shock resistance. Examples of items that are Iron castings include: Auto Parts, Motor Shell, railroad truck frames, valve bodies, pump casings, mining machinery, marine equipment, engine cylinder blocks, and so on. Iron castings are categorized into two general groups: Gray Iron & Ductile Iron. Gray Iron: GG15, GG20, GG25.